Key congressmen stick up for California's dispensaries, an Idaho CBD bill passes, an Indiana CBD bill fails, the Arizona Supreme Court allows parolees to use medical marijuana, and more. Last Thursday, two key congressmen rejected DOJ claims that it can still prosecute California dispensaries . Reps. Sam Farr (D-CA) and Dana Rohrabacher (R-CA), authors of the successful congressional budget amendment protecting medical marijuana in states where it is legal, have rejected Justice Department claims that it can still go after dispensaries in California. "The Justice Department's interpretation of the amendment defies logic," Farr said. "No reasonable person thinks prosecuting patients doesn't interfere with a state's medical marijuana laws. Lawyers can try to mince words but Congress was clear: Stop going after patients and dispensaries." A Rohrabacher spokesman added that "the congressman believes the amendment's language is perfectly clear and that the DOJ's self-referential interpretation is emphatically wrong." 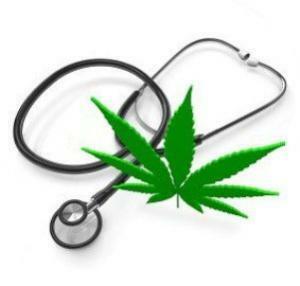 Last Wednesday, a full-blown medical marijuana bill was filed . Sen. Bobby Singleton (D-Greensboro) filed Senate Bill 326 , which would allow doctors to recommend medical marijuana to patients and which has a unique scheme setting three levels of allowable amounts possessed. The bill would allow one dispensary in cities with a population of 10,000 or more and two dispensaries in cities with a population of 150,000 or more. Companion legislation is expected to be filed in the House by Rep. John Rogers (D-Birmingham). On Tuesday, the state Supreme Court ruled that probationers and parolees can use medical marijuana . In two rulings, the state high court barred courts and prosecutors from denying registered patients the right to use medical marijuana while on probation. The cases are Arizona v. Farrell  and Reed-Kaliher v. Arizona . Last Tuesday, the Fresno city council approved the indoor cultivation of up to four plants . That's a change from the total ban on cultivation it passed last year. Still, patients expressed reservations about whether four plants would be sufficient. The council must approve the measure one more time before it becomes law. Last Friday, a Yuba County judge denied a temporary restraining order against the county  sought by medical marijuana growers. The Yuba Patients Coalition and six growers had sought to undo an "urgency" designation with the county's cultivation ordinance that eliminated a period for signature-gathering for a referendum challenging the ordinance. The growers said they will appeal. On Tuesday, the State Water Board issued best practice guidelines for marijuana cultivation . The effort includes a "Know Before You Grow" brochures and a "Pesticide Use on Marijuana" research paper. Click on the link for much more. On Monday, a legislative committee approved expanding the medical marijuana program .The committee endorsed Senate Bill 1064  after lengthy debate. The bill would be a significant expansion of the state's medical marijuana system and would allow children with specified diseases to participate, but they wold be limited to using low-THC, high-CBD cannabis oils. The bill now goes to the full Senate for consideration. Last Friday, the state's CBD implementation bill faced more problems . A bill trying to get the state's CBD cannabis oil law, passed last year, actually implemented is now facing a new challenge: how to give black farmers a fair shot at growing the new crop. The existing law only allows farms that have been in existence for at least 30 years and that grow 400,000 plants or more to apply for one of five licenses to cultivate and distribute the crop. But hundreds of black farmers say they are being cut out of the deal because 30 years ago, they were still fighting with the US Department of Agriculture over discriminatory lending practices and weren't yet in business. The sponsor of both last year's successful bill and this year's implementation bill, Sen. Rob Bradley (R-Fleming Island), said he would attempt to address the issue. The bill is Senate Bill 7066 . Last Monday, the CBD cannabis oil bill came back from the dead . The bill, Senate Bill 1146 , was killed on a tie vote in the House State Affairs Committee Monday, but the committee has agreed to reconsider it and was set to meet today for further discussion on it. If it passes the committee, it could go to a House floor vote tomorrow. Last Thursday, it passed the Senate . The bill was killed in committee on Monday, but brought back to life Thursday and passed the Senate today. Senate Bill 1146 would allow for the use of CBD for "intractable seizure disorder." It won the support of all seven Democratic state senators and 15 of 27 Republican state senators. Last Friday, it passed the House . A bill that appeared dead only a week ago has now passed both houses of the legislature and heads for the desk of Gov. Butch Otter (R). The bill is Senate Bill 1146 . On Monday, officials began pondering whether to add 14 new qualifying conditions . The state Medical Cannabis Advisory Board is now reviewing 22 petitions requesting the addition of some 14 diseases or medical conditions to the list of those that qualify for medical marijuana. The board will hold a hearing in May and then make recommendations to the director of the Department of Publich Health, who will make the ultimate decision. Click on the link to see the whole list. On Tuesday, a CBD cannabis oil bill was killed . A bill to allow for the use of CBD cannabis oil to treat children with epilepsy sailed through the House earlier this session, but was killed by a Senate committee vote Tuesday after prosecutors opposed it, saying it was similar to legalizing medical marijuana. On Wednesday, the state announced it was revamping the application process for dispensaries . The state Department of Public Health (DPH) today announced significant changes to the Commonwealth's Medical Marijuana Dispensary program first authorized in 2012. The revised process will license Registered Marijuana Dispensaries (RMD) in a format similar to other healthcare facilities, such as pharmacies, which DPH also administers. This process will phase out the current use of state procurement policies to register a dispensary. Click on the link for more details.